Sometimes all you need to help achieve a goal is some organization. A worksheet or a template can aid you in establishing objectives and creating a workable plan. Use the following tips and printables to help you get started. Every goal you set should challenge you enough to make a difference, but it must be attainable within a reasonable period, as well. If not, chances are good you will lose interest, passion and motivation over time and never reach your objective. For instance, going from shift manager to CEO won’t happen overnight, but you could work toward becoming store manager. 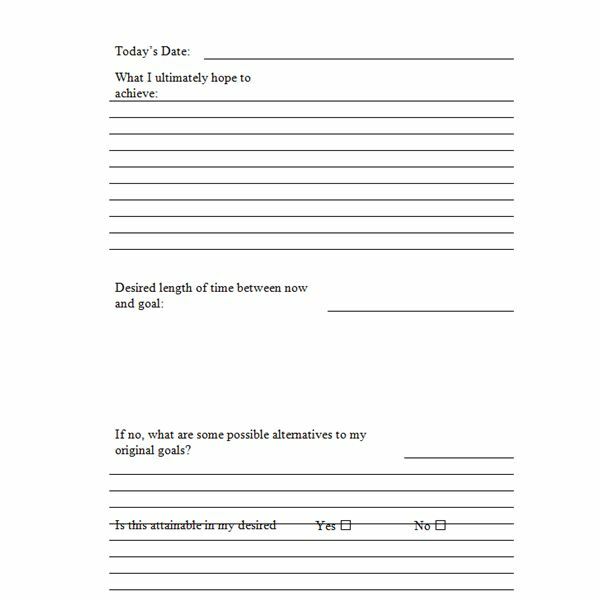 Download the Goal Setting Worksheet template to get started. To use this template, type or write the outcome you believe would change your current situation in the most positive manner possible. List the amount of time you want to spend reaching a goal and then determine the necessary steps toward the goal you named. Decide whether the goal is within reach with your time constraints. If yes, get started. If not, come up with some other possibilities. Consider the ultimate goal you hope to achieve and the necessary steps to do so. Imagine yourself performing these steps a week, a month or a year from now. If that idea seems overwhelming or tedious, find ways to break down your large goal into several smaller ones. For example, if your goal is to move up from an administrative position to a supervisory one, you might set short-term goals of enrolling in college, working toward a higher degree and accepting new tasks at work. All of these smaller, but still commendable ambitions can be stepping-stones to help you reach your definitive goal. Download the Ultimate Goal Breakdown template to help you process. 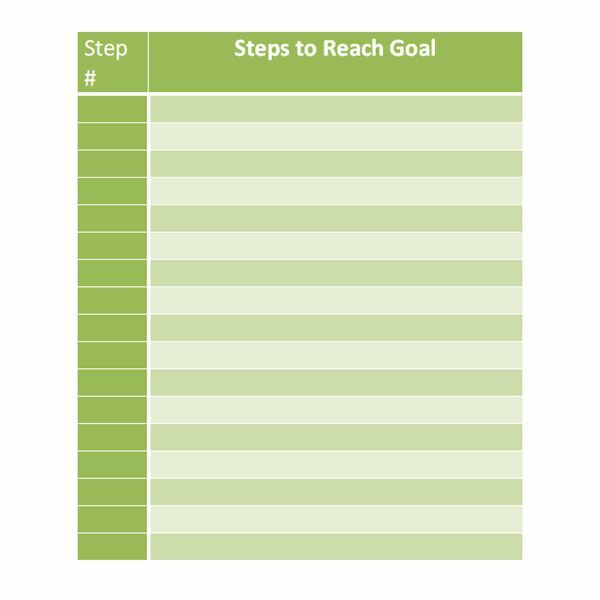 To use this worksheet, click Text Pane in the Create Graphic group of the SmartArt Design tab to type your ultimate goal in the shape labeled 10 year goal (reaching your goal doesn’t need to take 10 years; this is just an example). 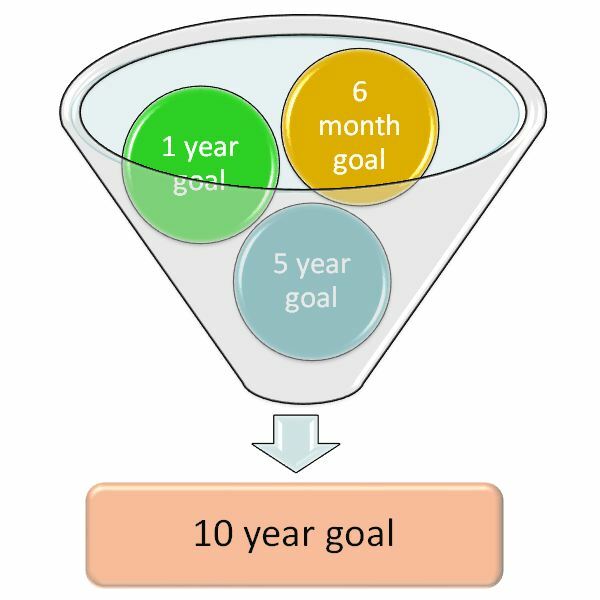 Type short-term goals into the circles in the funnel with the most attainable goal first. You may have head the adage that states if you eat a frog first thing every morning, nothing worse will happen all day. Keep this in mind when prioritizing the steps that will help you reach your goal. Endeavor to tackle those items that are least appealing to you first. Once they are out of the way, the other steps will be much more enjoyable. Download the Prioritizing Goal Steps template to help you get organized. Type each step toward your goal in no particular order into the right side of the list. Enter a number for each item in the left side to denote when they must be done. If multiple tasks can be performed at any given time, number them according to when you prefer to do them. When you are done, click the Table Selection button in the upper-left corner of the table. Click the Layout tab under Table Tools and click Sort in the Data group. Choose Step # in the Sort By box, select Number in the Type box and click OK to sort the list numerically. You must determine why the goal matters to you in order to maintain the persistence necessary to persevere. Write down your goal along with the benefits you will gain from reaching it, as well as obstacles you anticipate and ideas on overcoming those difficulties, should they occur. 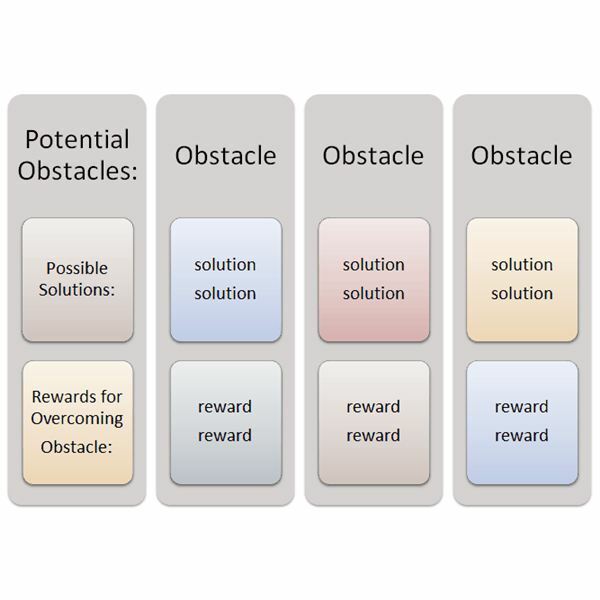 Download the Goal Obstacles and Rewards Worksheet and write or print your answers onto it. Using these tips and tools, you will find yourself in a better situation before you know it, and likely learn much about life and yourself along the way.